Comfort and Luxury were front of mind constructing our largest lounger spa. 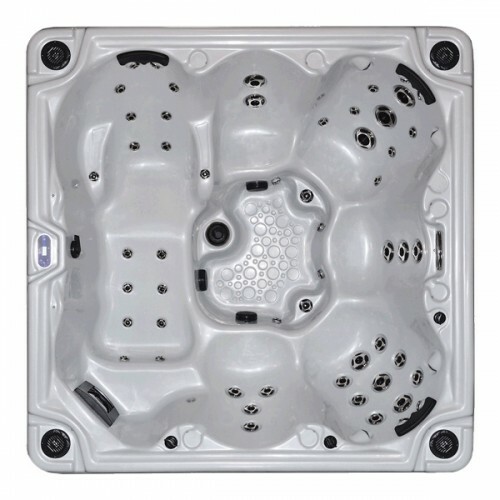 Heritage Series – Viking engineers spared no expense designing the Heritage spa. Comfort and Luxury were front of mind constructing our largest lounger spa. The Heritage features a lounger with 18 jets complete with hand and foot massage and 4 neck therapy jets EACH in our King and Queen captain chairs. This 2 pump goliath is available in a 61 and 71 jetted version each showcasing the Volcano floor jet. This massive jet is the ultimate in foot massage.